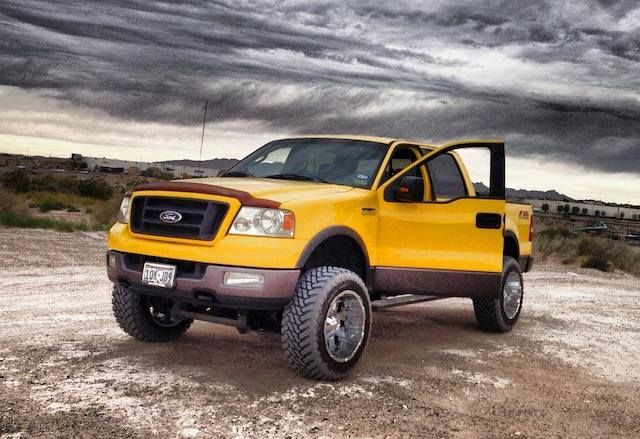 Ford built the first Ford F-150 trucks for the no-frill worker. The trucks were workhorses. In 1969, the F-150 arrived with only three editions: Contractor Special, Farm and Ranch Special, or the Heavy Duty Special. Ford designed each vehicle with plenty of space for tools. Decades later, the F-150 is still one of America’s best-selling pickups, and it's no longer thought of as a vehicle just for the working man or woman. It's a smart, attractive, head-turning truck. Having said that, the Ford F-150 has off-road capability, a 3.5-liter V6 EcoBoost engine, and massive torque. The vehicle works hard, and Ford makes sure that replacement parts and accessories are readily available. All parts experience wear and tear. Our mission here at Ford Parts On Sale is to make sure customers get their parts delivered on time when they need them. Of course, these are not all of the parts and accessories we sell. Whether you're looking for cargo components or alternators, you're in the right place. Side Mirror Assemblies - A big truck comes with big mirrors. While it's nice to have all that visibility, F-150 side mirrors get busted frequently. Replacing yours is easier than you might think. Weather Stripping - This is one of the simpler F-150 DIY repairs, which explains why on-body weather stripping is also one of our best-sellers. Tail Lamps - Whether you call it a tail light or a tail lamp, any truck (or car) owner will at some point be faced with a burned out head light or tail light. When it's your turn, you can find OEM tail lamps right here. Oil Filters - Stock up on OEM (and only OEM) oil filters so you are ready-to-go during those regular oil changes. Check out our buyer's guide for more details. Brake Rotors -Last, but definitely not least, brake rotors are a popular F-150 auto part sold at FordPartsOnSale.com. When you search our website by year/model, you'll easily be able to find the right rotors for your truck. But, of course, you're welcome to call us to ask about fitment, too.